Get your first glimpse at the new Cadence Neighborhood. New homes are about to be built at Cadence at Gateway where SR 24, Ellsworth, and Ray Roads meet in Mesa and they are having a grand opening event Saturday, October 20th to tour the community, view models and select lots. Harvard Investments, developer of Cadence at Gateway and an Arizona-based real estate investment and development company, is finishing up the amenities in preparation for the event. Phase one features four builders including Lennar and its NextGen® homes, Pulte, David Weekley Homes and Gehan Homes. Three builders have begun to pre-sale due to tremendous demand. These builders will be in nine intimate neighborhoods offering more than 47 different floor plans for approximately 600 one- and two-story homes. Each home will be less than 300 feet from a park, trail, or The Square, a resident-only country-club style community center. 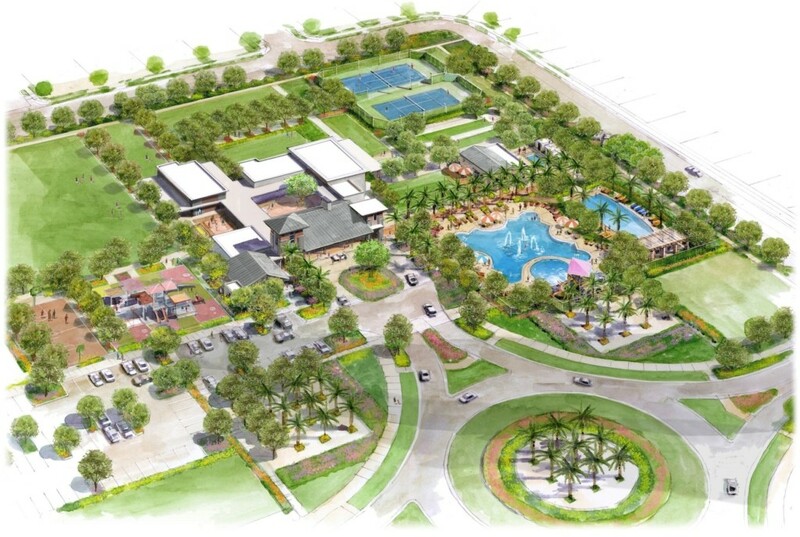 The Square and its offerings will be available to community members from the day they move in and include resort-style swimming pools, great room, meeting rooms for entrepreneurs, fitness center and virtual fitness classrooms, sports fields, tennis, bocce and pickleball courts, a garden, dog park and more. All amenities at Cadence will be included with a nominal $125 HOA fee. The community’s elementary school site, which will be part of the award-winning Queen Creek Public School District, broke ground this month and will be open Fall 2019 for students. Potential homebuyers can schedule a tour with the Klaus Team New Home Specialist by calling 480-354-7344. Klaus Team agents have been working with Cadence builders for months to become well-versed in the offerings so as to provide you with the best service and representation at no cost to you.